Discovery Campervans refers to campervans and motorhomes the same way nearly all Australians and New Zealanders do. 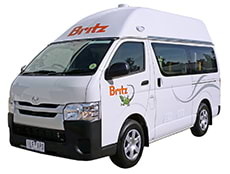 A campervan and a motorhome are interchangeable terms, that both refer to vehicles which can be driven and slept in. Both images on the right hand side are referred to as campervans (or motorhomes).